See what delicious food MGM Park has to offer! In just four years, the Shuckers have had 24 players go on to make their Major League debut. 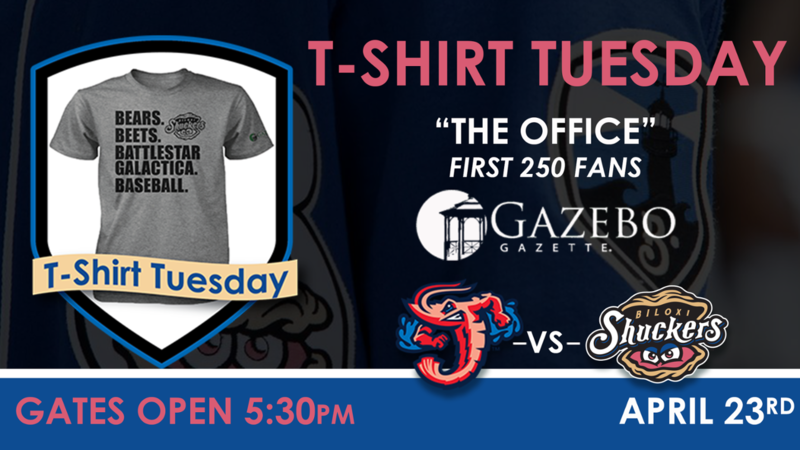 T-Shirt Tuesday, Field of Dreams Night and plenty of fireworks are on the dockett for 2019! See the journey of the Biloxi Shuckers to MGM Park on their 54-game road trip in 2015. Have Schooner the Seagull make an appearance at your next game, gathering or event! Raise money for your nonprofit or group with the Shuckers. The Shuckers are happy to help charitable organizations in our community. Individual tickets, groups of twelve or more and season tickets are all available in the Mercedes-Benz Club, the most luxurious spot to enjoy a Shuckers game. With a scenic view of the Gulf of Mexico, the Mercedes-Benz Club offers an upscale, indoor-outdoor baseball experience, and includes a rotating menu with a full buffet, complimentary non-alcoholic bevarages and a fully stocked cash bar in an air-conditioned lounge. Our largest and most affordable hospitality area, the Community Bank Terrace is perfect for entertaining family, friends, clients, employees and more! Suited for groups of 28 or more, the Community Bank Terrace includes a ticket to the game and your favorite ballpark fare, along with non-alcoholic beverages. Grab a seat at one of the tabletops with swivel chairs and enjoy! Located on the third base side, take in a game with a stunning view of the Gulf Waters on the suite level. Available for groups of 28 or more, and includes a buffet and non-alcoholic beverages. Located on the first base side, take in a game with a stunning view of the Gulf Waters on the suite level. Available for groups of 28 or more, and includes a buffet and non-alcoholic beverages.